Here is another Korean online store I tried to check out their services. 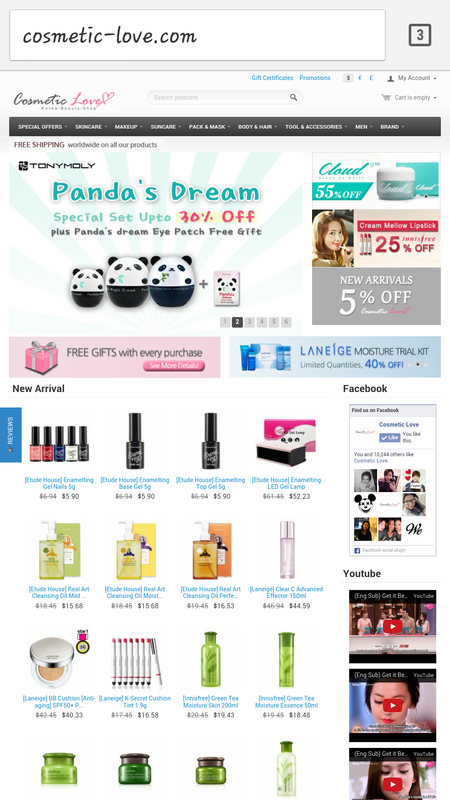 As you may know I like buying my Korean beauty products on Beautynetkorea and Ebay. There are always very competitive prices on Ebay and most of the Korean sellers have their own stores as well. That’s how I discovered Cosmetic-Love. One of my sister’s friend also tried this store before so I already have a reference that it was a genuine seller. It’s worth checking their website, as like many other stores you get points and other “special sale”prices. There can be differences in pricing when they sell item directly from their store and Ebay. You also have a lot more choices and other brands not available on BNK. 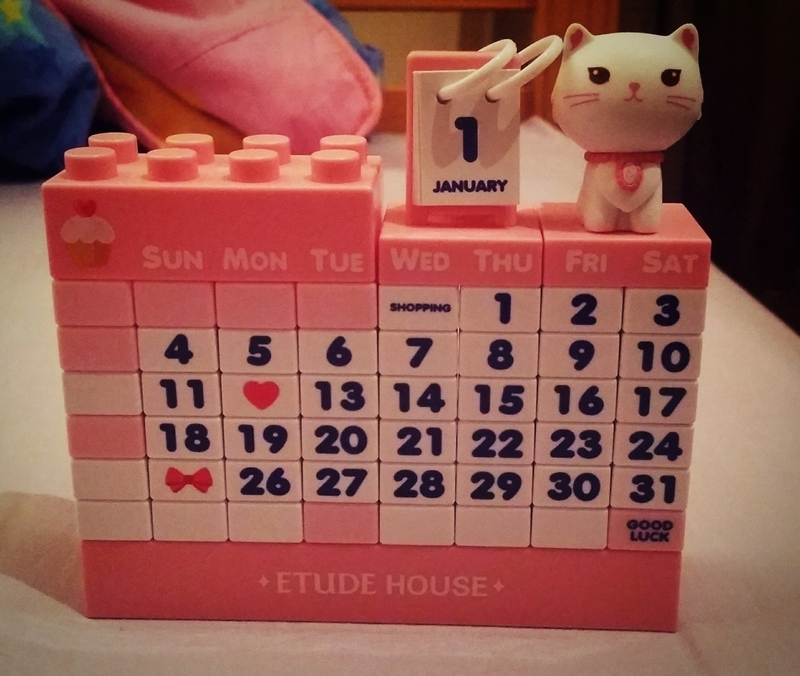 Back in December I saw that Etude House came out with this cute block calendar. I quickly went onto Ebay to check if people put it up on sale, and some were quick to add it. 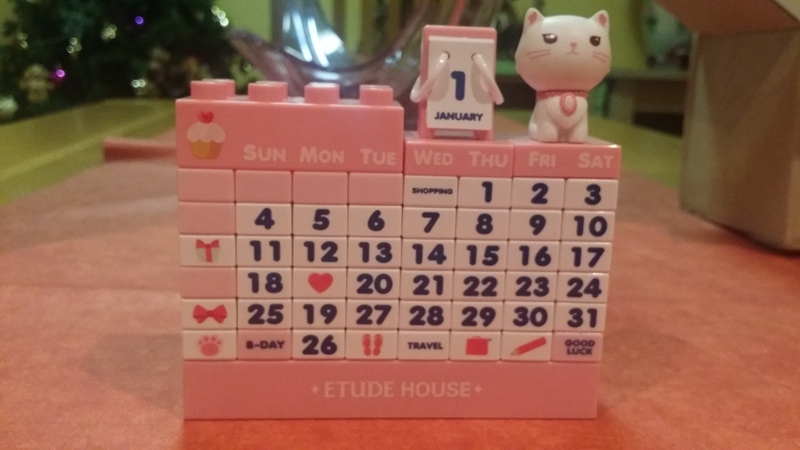 Etude House global was offering this calendar for free if you purchased over 70$ on their global store,but shipping was so expensive so I passed on the offer. After a couple of days a seller put it up on sale on Ebay and it was less than 10$, I was “yay let’s check out this seller”! That’s how I found it was Cosmetic-Love. 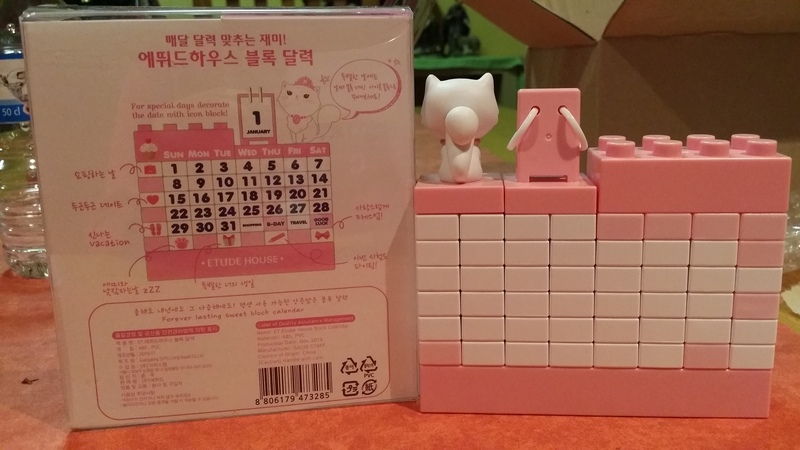 I checked their online store and saw the price was even lower, the block calendar was at 8.49$ and shipping was free so I ordered through their store directly! My order was placed on 22nd December and was released a couple of days later. It arrived today, it took around 2 weeks to arrive in Belgium. My order arrived in a cardboard box with a printed label. On the shipping details, it said that the value of the item was 10$, but this is not true. Anyway as long as it’s under 25$, I’m good. Belgian customs will not annoy me. When opening the box, this is was I saw. 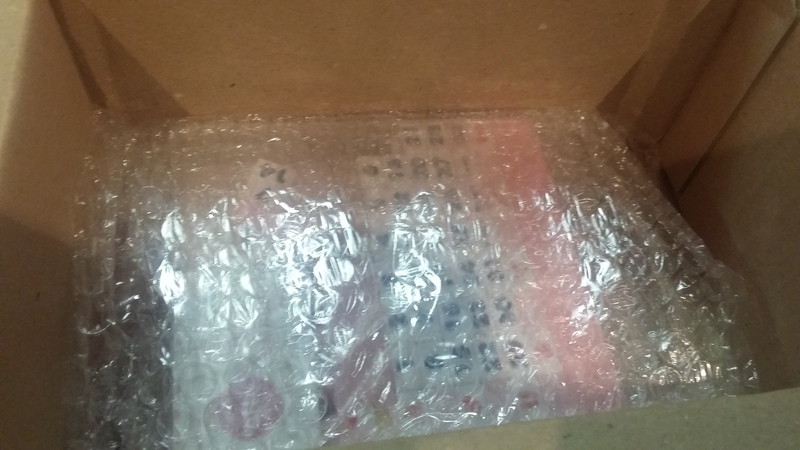 The box was bigger than the item but it was safely wrapped with bubble wrap. This is the full content of the package. 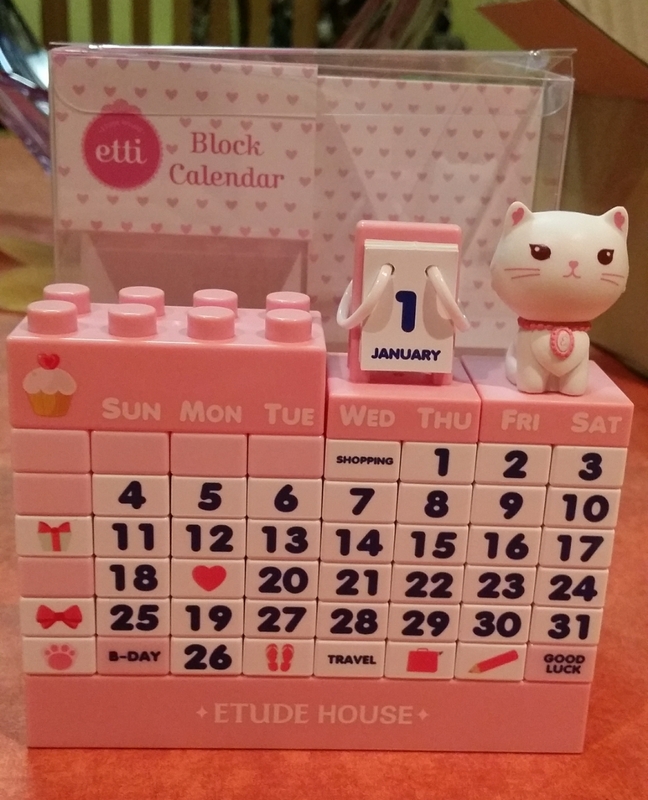 My bubble wrapped Etude House Etti calendar block! 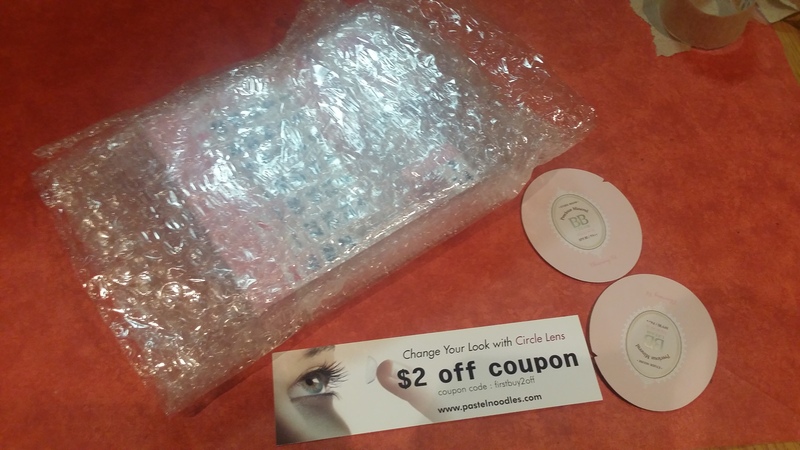 They added two samples of bb cream and a coupon for Pastelnoodles, an online circle lens store. 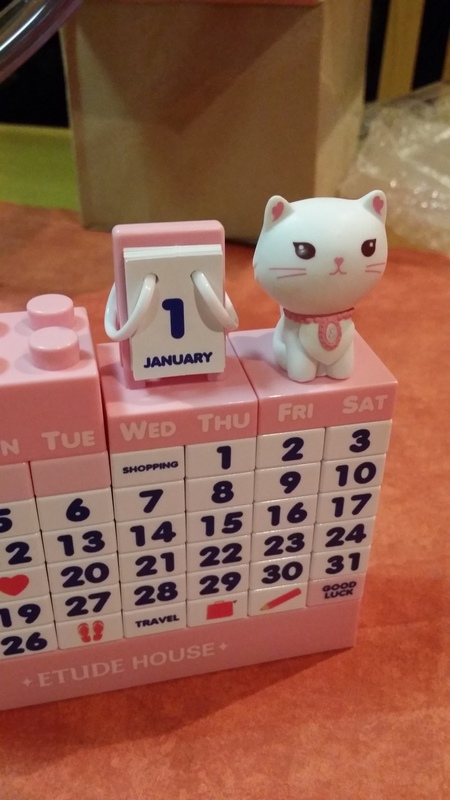 I like this block calendar as it reminded me of my childhood, building houses and other imaginary things. 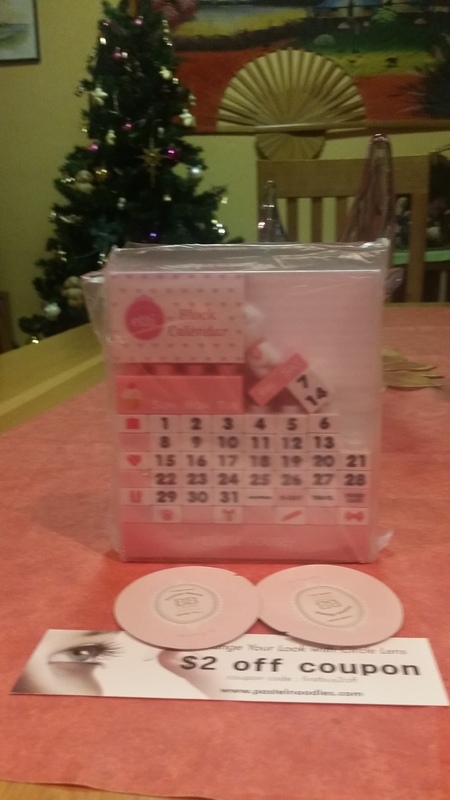 Now I can build my own calendar! 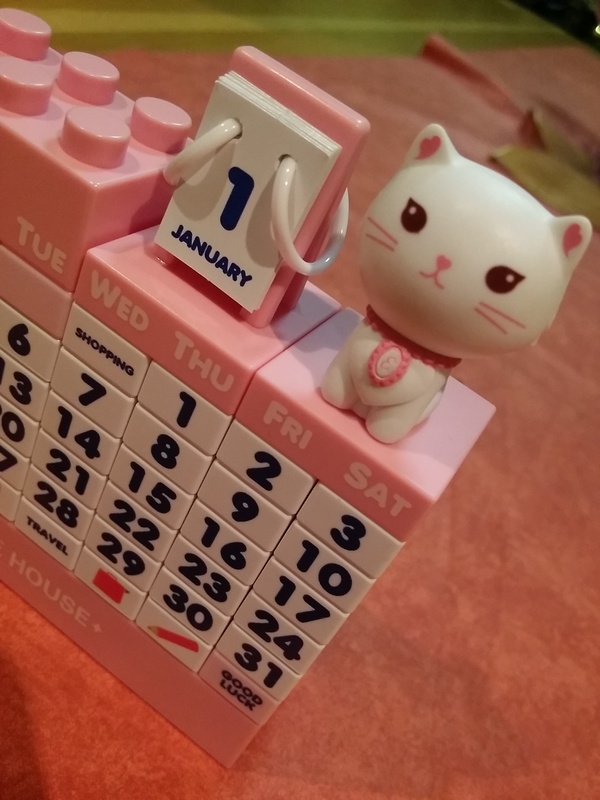 Some of the blocks were a bit of a hassle to separate, if you are a bit lazy, this calendar type might become annoying as you will have to change it every month! 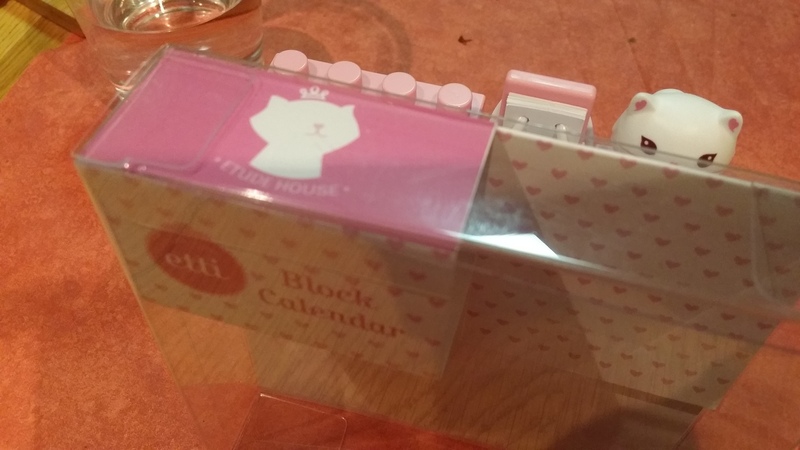 All the blocks can be separated but Etti and the flip board are stuck to the pink blocks so they cannot be taken of. The flip board mentions all the months, it is made of paper plastic which makes it softer but durable. There are also blocks with reminders you can put here and there. Here is a look at the packaging. Everything is written in Korean except the slogan of the calendar “forever lasting sweet block calendar” and od course “made in china” 😆. In case you didn’t know the white cat is called Etti. I’m not sure if it’s Etude’s mascot or just Etude’s trademark for some of their accessory line. Anything with Etti on it are usually limited edition items : there was a hair straightener, a makeup table, a contact lenses case and a mirror that came out in 2014. Here is a look at the back of the item. 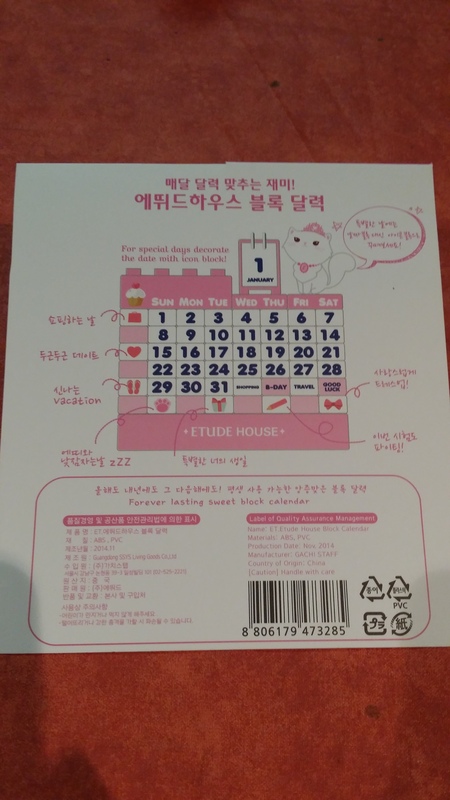 If you like Etude house (and pink) and you have a childish side, then this is a must for you. 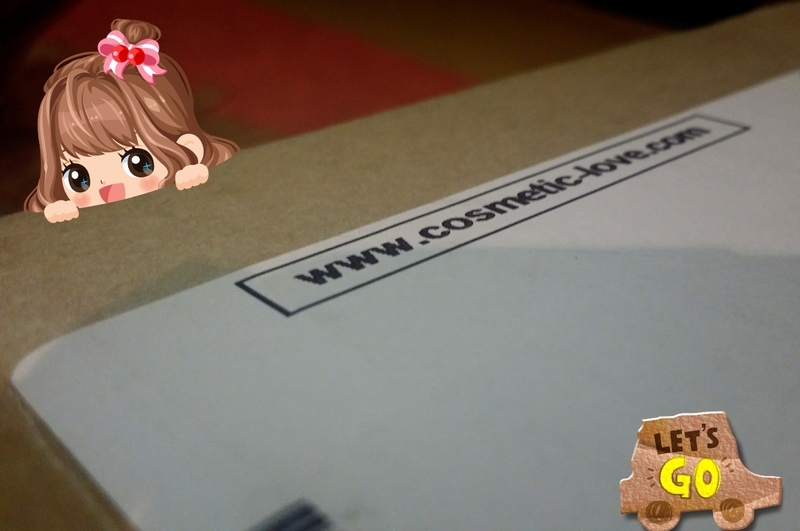 Cosmetic-love is another trustworthy Korean online store. They do have a lot of product on offer. Shipping is free, you accumulate points whenever a purchase is made. The shipping is in time and items are safely packed. The methods of payments are safe. Samples are given, which are always welcome. 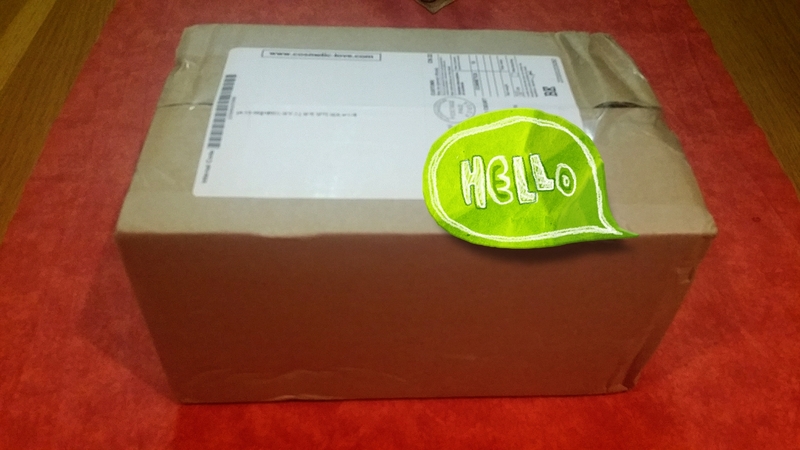 I do need to mention that my order was sent by regular mail, there was no tracking number. I am satisfied with their services and will definitely check their store again in the near future! Wer you able to see your order no on their website? I placed my order just nw without paying for tracking no bt I can’t see any update in my account on their website as well. so bit confused? Hey do you mean you placed your order and paid already but there was no update on your account? If that is the case, i would highly recommend you contact their customer service. As far as I can remember after placing my order I received an email as well showing the recap of the order, where the order number is also mentioned. I hope the issue gets fixed soon. Good luck! Hey don’t worry I’m sure they will reply to you soon!